By tomorrow six states, whose governorship elections were declared inconclusive, will have their rerun. It promises to be the final referendum on the performances of incumbents in those affected states. Governors of Adamawa, Bauchi, Benue Plateau, Sokoto and Kano states would have their fate determined by the people. Those on the platform of the ruling party relying on federal might had their hopes dashed recently when President Muhammadu Buhari openly told his party members that he would not interfere in the conduct of the supplementary. Obviously wearied by pressures on him by the governors and leaders of the ruling All Progressives Congress (APC) to use his office to the advantage of their colleagues who are having difficulty in retaining their seats, the President in a statement by his spokesman, Mallam Garba Shehu, last Sunday sealed the hope of their ascension to power by any other means outside the ballot box. Before the declaration by the President, several governors on the platform of the ruling party have besieged the Presidency holding clandestine meetings ostensibly to persuade His Excellency to throw his weight behind their drowning colleagues. Only last week, seven governors including those of Ekiti, Borno, Kogi, Kaduna, Kebbi, Zamfara and Jigawa states met with the President at the residence. Even though they refused to brief the press on their mission, there were speculations that it may not be unconnected to the efforts to talk the President into backing the sinister plans to deploy armstwisting tactics to rescue their failing colleagues from impending defeat. Similarly, Adamawa and Bauchi governors last week met with the Vice President and the Chief of Staff (CoS), Mallam Abba Kyari, and they also shun the media. The duo, joined by the Plateau governor, later came for separate meetings with the President. Meanwhile, the opposition People’s Democratic Party (PDP) has consistently alleged that the ruling party was planning to deploy the army to those states with inconclusive polls by today to assist their candidates in rigging the elections where they fail to get required votes to get them declared winners. One is however not surprised by the outburst of the opposition because this has been its stock-in-trade since 1999 until its administration was democratically torpedoed in 2015. A President on the platform of the PDP once declared an election as do-or-die. Then all the coercive machineries available to the government were deployed to win the election generally described as the worst in the annals of the nation’s democratic evolution. Aside the opposition, the quest to continue business as usual made members of the ruling party to look forward to the deployment of federal might by the President for them to at least retain their strongholds that are being threatened by the opposition. Vociferous APC members have accused the President of not assisting their candidates struggling to win their elections saying that he left everyone in the lurch immediately he was declared the winner of the presidential poll. They accused him of being selfish by not throwing his weight behind the governors by deploying federal might. But the Presidency debunked the allegation describing it as unfair and ridiculous criticisms of the President’s apparent disinterest in the supplementary polls by members of the APC who hold the believe that Buhari, like those before him, will abuse power by changing results to favour them. Shehu wrote: “Past Presidents of Nigeria were known to interfere in inconclusive elections, and that is why party members appear to be upset that the same thing is not happening now, but President Buhari is a different kind of leader. He swore to defend the constitution and will not veer off from that. The constitution of Nigeria gives the President no such powers. It is unfair and ridiculous to criticize President Buhari for not going against the constitution. With these few words, the President washed off his hands off the shenanigans that members of his party, and even those of the opposition, may be planning to deploy to rig the polls tomorrow. The President, who recently met with service chiefs, undoubtedly has drawn the red line and the fate of potential election riggers is certain. 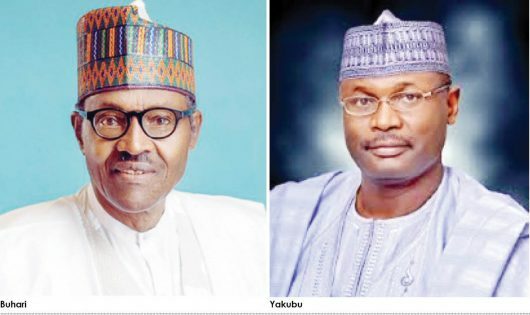 Buhari’s decision to allow votes to count is a clear departure from the past where incumbent deploy federal might and manipulate the Independent National Electoral Commission (INEC) in favour of their party members to impose candidates on the people. The President’s resolve not to interfere in the conduct of the elections conferred true independence on the electoral umpire. It is therefore expected that wherever the outcome of the supplementary polls will reflect the true wishes of the people in those six states. Buhari equally demonstrated his preference for due process when he encouraged the Bauchi governor, Mohammed Abubakar, to challenge the decision of the INEC to release the results of the Tafawa Balewa Local Government hitherto cancelled by its returning officer in the court if law. Thus, the President’s actions have come to bolster his integrity, transparency and determination to rid the country of all forms of corruption, especially electoral fraud, that has become a barrier to national development. With this, the nation’s leadership recruitment process has being regenerated. Should this continue uninterrupted, Nigeria will soon join the league of nation’s where their leaders contest for positions to serve the people and better their lots. While tomorrow will be a coronation day for those governors who served their people in all honesty, it will be a judgement day for those who disappointed the masses. With the President not interfering and enjoining the INEC to be independent, votes will count and the outcome of the polls will reflect the wishes of the masses.